The dean and faculty of Geneva Medical College were facing a dilemma: a woman had applied for matriculation. 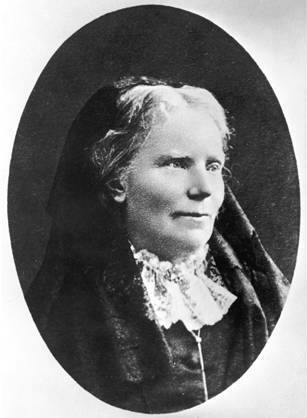 Elizabeth Blackwell had already received a long list of rejections from other medical schools, all reasoning that she is but a woman and thus intellectually inferior to the males of the species. Even if she could prove to be of an intelligence equal to men, she would represent an unacceptable competition to her fellow students. The Geneva Medical College, however, did not give Elizabeth Blackwell an upfront answer. They put the issue up for vote under the stipulation that if but one student voted against her, she would not be admitted. I doubt this was anything but an attempt to show her her place, to humiliate her even further. The faculty must have believed that no student in his right mind would allow a woman direct access to medical studies. The students, however, believed it to be a ludicrous joke and decided to have some fun: all one-hundred fifty men voted for Elizabeth. It was as if the world tipped – a female student was to be allowed access to the all-male medical domain! When Elizabeth arrived at the Geneva Medical College, all those boisterous male students suddenly behaved like gentlemen. All the smoking, elbowing, laughing and talking during lectures stopped, and everyone listened attentively. Despite the fact that lectures changed to the better by simply having Elizabeth present, most of her professors despised her. She was a threat to their traditions. Blackwell had a profound influence on the history of women in science. Although met with resistance almost everywhere, she set up a practice for women, founded the Women’s Medical College, published books, and paved the way for the next generation of female medical doctors (and scientists). Even 45 years later, three female students at John Hopkins’ first medical school class caused an uproar. Except for a few women colleges, very few American medical schools allowed women to earn a degree. This post originally appeared in my science blog and was featured by National Geographic in 2013.